We’re a diverse group of creatives and strategists with a huge and varied amount of client-side and agency experience and a passion for brands with purpose. We’re structured as a core team with a huge connected network based out of our Brighton studio with a hub in London. We like to keep things fluid and flexible – we don’t care for rules or hierarchies – we like people to be free to express themselves as that’s where the best ideas come from. 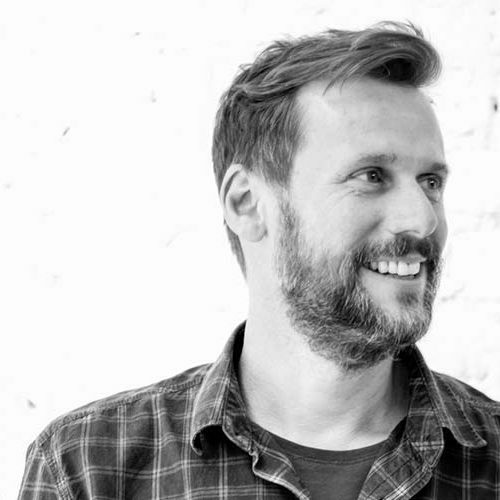 Andy’s creative career started in London where straight from university he built a successful print and design studio working with the likes of Vodafone, Puma, Dove and Samsung. 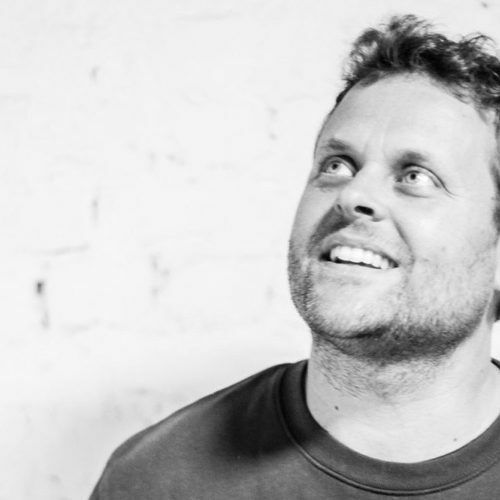 Thirsty for more integrated marcomms experience, he moved agency side as a pitch-winning senior creative strategist at Cheil, BMB and Coley-Porter-Bell for clients as diverse as Adidas, Avis, Bahlsen Biscuits, Freemans and Kawasaki. Following a move to Brighton, Andy decided to co-found Library as a design-led marketing agency to provide a more bespoke client service. Andy can often be found fixed wheeling around town, running various half marathons or deep in some kind of cricketing/football mission with his two sons. Rebecca’s story started in account management for London design agencies What If!, Design Bridge and Conran before heading client side as International Creative Manager for Laura Ashley. There she oversaw the creative marketing for over 15 franchise partner territories from Australia to Japan, before moving back to agency life as Art & Content Director for 24 Productions before co-launching Library. 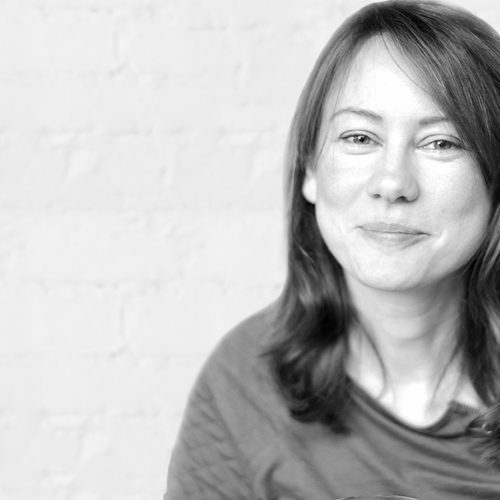 Rebecca oversees the agency’s content production, sharing of content over social platforms and data-led consumer behaviour. She’s a dab hand at styling a shoot, a mean photographer and a restless hoarder of cookery books. When they aren’t deep in a mixing bowl, her hands are kept full with Olive, the agency’s resident cavapoo (barks a bit, total softie) and her two boys. 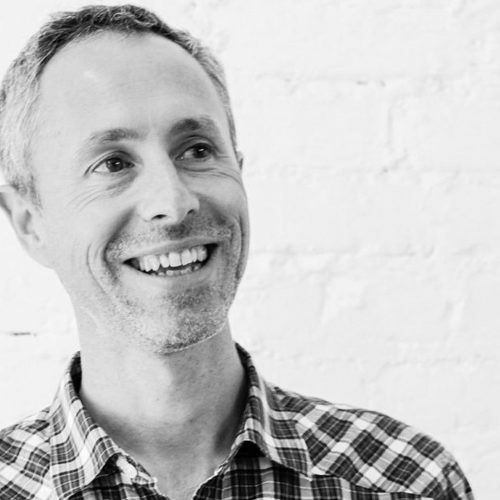 Roland’s 20 year career in integrated marketing saw him start off in consumer PR as a Director at consumer tech outfit Kazoo before founding and MDing London Experiential and social agency Neon which was acquired by ad agency BMB. After leaving BMB and a two year adventure living in Bali, Roland returned to the sunny south coast to join Library where he looks after client strategy, business development and organisational culture. Roland also teaches Marketing Leadership at the University of Brighton and writes, “nearly” completing that elusive first novel. He can often be found hiking the Downs when his two young daughters aren’t insisting on tickle fights. Danielle started her career in the fashion industry working as part of the original team that built the Charlotte Tilbury brand. After 3 years handling marketing, PR and social around the world for Tilbury she shifted her focus into working on natural and organic brands, an industry she is passionate about. A self-confessed travel junkie, Danielle loves her yoga, planning her next epic trip and exploring the latest trends in beauty and wellness. Following 13 years of PR and Marketing in the music and entertainment industry, Erika trained as a Nutritional Therapist and now combines her love for health and well-being with her PR and Communications experience, a rather handy skill-set for our food, drink and wellbeing clients. Erika looks after all things comms at Library – from social content, tone of voice, PR, brand partnerships and copywriting. In her spare time you’ll find Erika walking her whippet Elsie, heading to a yoga class, rushing to catch a gig or deep in a music autobiography (“start with Keith Richards”). Debbie’s our expert wordsmith, her skills honed across a 20 year career in travel journalism which has taken her to the furthest-flung corners of the planet. Best place for a Negroni in Phnom Penh? Ask Debbie. Quietest beach in Australia? Got it. Best restaurant with a view in Vancouver? Easy. At Library Debbie ruthlessly whips our creative copy into a lean and healthy shape, pulls together slick messaging and translates brand stories into compelling, consumer-friendly language. When she’s not here, you can bet she’s off in search of a story – the Edinburgh Fringe is her favourite destination for collecting tales too strange to be true. (“start with Keith Richards”). Charlotte made her way down to Brighton a few years ago and hasn’t looked back. As our Senior Designer Charlotte’s restless eye for design and layout excellence ensures our studio’s output is always on the money. Charlotte’s creative inspiration comes from regular doses of Nordic noir, music festivals from Miami to Portmeirion, ashtanga yoga and anything to do with the Coen Brothers. And how could we forget her hula-hooping prowess? Charlotte even does the neck one. Yeah! 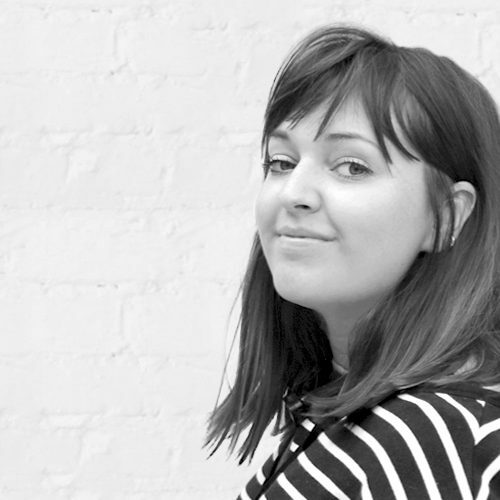 We lured Katie down from Manchester where she spent 3 years studying graphic design at Manchester School of Art before kick-starting her agency career up there. She’s now a fully converted fan of all things Brighton and a big-time culture junkie. 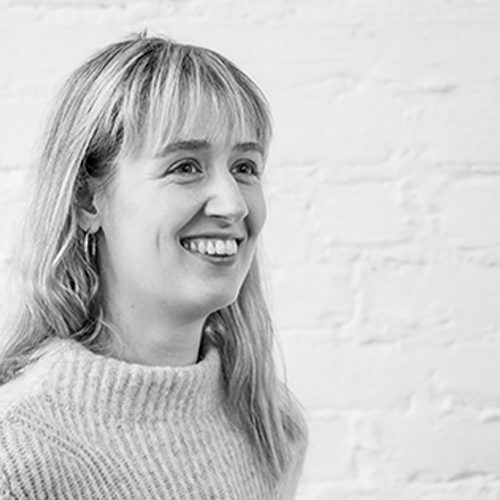 As well as being nifty with paper craft, outside design she’s a lover of being by the sea, Mad Men, camping, the theatre and tap dancing (but never in lifts – that’s another story). Gavin works his magic behind the camera directing, producing and editing our filmed content. His love of film extends into all areas of a rather busy life which includes 4 kids (including twins, yup), a cockapoo called Scout and his favourite film-making toy, the (drum roll) phantom drone. Phantom Gav we call him. 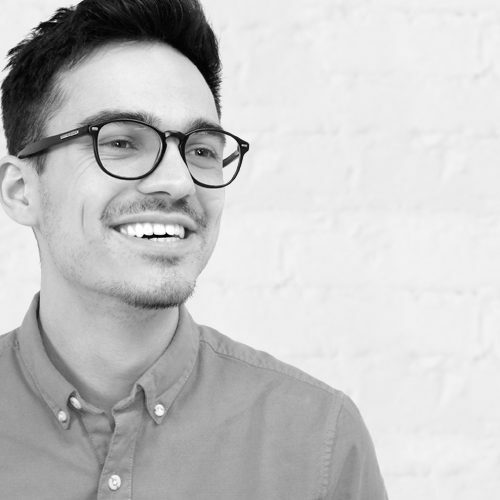 Alex is our data master, a man knee-deep in analytics who combines social media insights with business targets to drive great ROI and optimise our social media advertising campaigns. Alex is passionate about music – he composes, engineers and plays – and biscuits, but he’s currently on a fitness program which involves a lot of gym going (while listening to more music) and then eating ”a ridiculous amount of food” (but no biscuits). Something’s got to give. Third year University of Sussex Media and Communications student Josh is on a year-long internship with us. He’s a dab hand at design and social media having worked part-time creating and managing social content for precision engineering business Roscomac. He’s also a creative soul – moonlighting in musical theatre (most recently treading the boards as Seymour in The Little Shop of Horrors) and podcasting and Youtubing his own thoughts on life and stuff. Oh, and he’s really rather good at origami. Library is committed to encouraging equality and diversity among our people, and eliminating unlawful discrimination. Please see our full Equality Policy here. We want to do our best to minimise the impact of our activities on the environment. The key points of our strategy can be found here. We love to hear from people who share our values. Drop us a mail and tell us what you’re about.